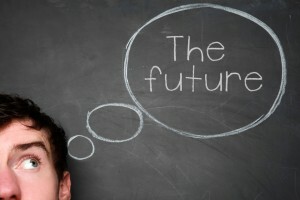 What if we told you that we could predict the future? No, not like psychics, fortune cookies, or Hollywood movies predict the future. We’re not glancing into any crystal balls; we’re talking about unlocking powerful insights from data – your app’s data to be precise. Imagine understanding which app users are at risk of churning before they abandon your app, giving you time to intervene and save them. Imagine knowing which audiences are at the cusp of conversion, allowing you to gently nudge them over the finish line. Imagine knowing your most valuable users’ next moves. It’s as cool as Minority Report – for the mobile marketer (but instead of early crime detection, you get foresight into future in-app behavior, which can unearth tremendous opportunities). So, exactly what can you learn through predictive app marketing? That’s what this article is all about. A Quick Refresher: What is Predictive App Marketing? Before we talk about how predictive app marketing can arm you with incredible information to make better app decisions, take a moment to read this article on what predictive app marketing actually is. First, it’s about using historical and real-time data (both profile and behavioral) on your app users and running a sophisticated predictive analysis to uncover what actions these people will take in the future and why. Then, savvy marketers can use this insight to inform proactive app marketing campaigns (including push, in-app messaging, remarketing, and email nurturing) to either alter or amplify that expected future behavior. The more you know about the future, the better equipped you are to handle it or change its course. Predictive app marketing can uncover amazing insights at all stages of the app user lifecycle, giving mobile marketers the ability to grow their app intelligently – from acquisition all the way to retention. Let’s go into more detail on what predictive insight can uncover at every stage, and how you can best take action. Many app marketers employ paid acquisition strategies to gain new users. You yourself have probably worked with a mobile ad acquisition partner to drive installs and supplement your organic efforts. But, advertising your app to new audiences is expensive and there’s no guarantee that the users you paid for will stick around, meaning you might ultimately lose money with some vendors. The good news is that if you work with an integrated app analytics and marketing platform, you’ll be able to track the engagement level of paid users over their lifetime. The better news is that with predictive app marketing, you’ll know which characteristics and behaviors are indicative of high converting users versus high churning users early on. In short, you’ll know much quicker which channels are bringing in “good” versus “bad” users. What You Can Do With This Insight: Make sure your next ad dollar is wisely spent! Now that you can tell the difference between desirable and undesirable users at the onset, readjust your budget to invest more in the high quality sources. A top priority for mobile marketers is to make their engagement campaigns smarter and understand their users better. Predictive app marketing gives you an additional layer of insight because it can identify users’ conversion likelihood. It will no longer be a mystery if Bob or Susan will ever buy something in-app, or if Juan and Fatima will pull the trigger on upgrading. Predictive insight will tell you which users are primed to take meaningful in-app actions, which users are not, and what separates the two. Which users have a high likelihood of converting? What traits or behaviors do these users share? Which users have a low chance of converting? What are the behaviors that indicate whether or not a user will convert? What are the main differences and similarities between my high converting and low converting user segments? What You Can Do With This Insight: Swoop in with an app message, promo, or offer that seals the deal! To be more specific, you want to provide those users who are least likely to convert a ton of reasons to take the leap, starting with a gentle reminder to return to the app and then giving them rewards for doing so. For those users who are highly likely to convert, you should keep them engaged by recommending other relevant offers that they’d find interesting. One of the big things keeping app marketers up at night is undoubtedly churn. You’ve probably heard this before, but it’s worth reiterating: it’s much harder (and more costly) to acquire new users than it is to keep an existing bunch happy. Unfortunately, before predictive app marketing, there was virtually no way of knowing which groups of users were at risk of saying sayonara to your app until it was too late (i.e. they had already churned). Before predictive app marketing, we lived in a reactive world. Now, you can get insight into which users are at risk of abandoning your app long before you lose them, giving you the chance to save them. Welcome to a proactive mobile world. What profile attributes correlate to low versus high churn rate? For example, are users from a specific country more likely to churn? What gateway behavior moves users out of the high churn risk bucket? For instance, if a user completes a particular event in the first week, are they less likely to churn? What You Can Do With This Insight: Launch pre-emptive app marketing campaigns to re-engage at-risk users before it’s too late! Once you have a clear picture of who’s gravitating towards app abandonment and why, you’ll be able to develop effective app marketing campaigns to combat churn. Think of it this way: If you know what behavioral thresholds you need to get people past, you’ll know exactly what push and in-app messaging campaigns to launch to elicit those key actions. And if you know which user profiles are indicative of an unfavorable churn propensity, you can prune these users at the source (i.e. adjust ad spend away from channels that bring them in). We envision a future in which predictive intelligence helps app marketers understand long-term behavioral trends. Tomorrow, we want to empower app marketers to build deeper relationships with their users so they can prevent churn, increase conversions, and build a better app experience. Predictive app marketing is a giant step forward in that beautiful, wondrous direction.